Located on the sixth floor of Asiana Hotel in Dubai, Boracay Nightclub brings the best of Manilla clubbing to the Middle East. The three story venue is expansive and has state of the art sound and lighting to enhance the live musical performances on stage from the DJ. The well decorated interior has seating for 400 people and 10,000 square feet for space is more than enough for dancing and dining. Boracay plays mostly R & B, Retro and Rock music mixed in with many favorites from Philippines. The menu is a mix of dishes from around the world and popular Philipino food. Guests can also order directly from their seats and get hot and fresh food delivered to their table so they do not have to miss anything from their entertaining night. 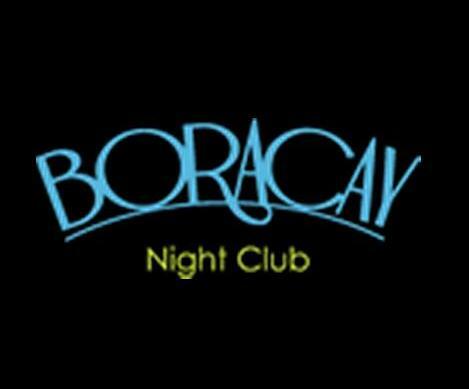 - Boracay Nightclub is a great venue that has 48 speakers and an incredible sound system. The high ceilings of the club make the venue very open and give the feeling of a concert hall. The walls are sound proofed so that other hotel guests are not disturbed. - The kitchen at the venue is always working to serve up all sorts of different dishes from around the world, especially the Philippines. Crowd pleasing dishes like Sizzling Gambas and spicy chicken wings are served along with traditional foods like Pulutan and Sizzling Sisig. - The bar is on over drive during the night and has all sorts of drinks including cocktails like Bullfrog. Salah Al Din Metro station is only 300 meters away from the venue. Guests can hop off the train and head east on Salahuddin Road toward Al Jazira Street and find the location on the right. View Map. The Reef Mall bus stop is only a few steps away from Boracay and guests can use bus route 10, 13, 13A, 31 and C28 to get there. After departing bus they will head east on Salahuddin Road and find the club on the left. View Map.